Cady Short-Thompson leads Hope College’s academic program and acts as chief administrative officer in the president’s absence. She is a member of Hope’s Administrative Council, which includes the president, chief of staff, chief financial officer and other senior administrators. As leader of the Dean’s Council she coordinates and directs academic initiatives across the college’s three academic divisions and more than 80 majors, minors and pre-professional programs. She also oversees the registrar and the staff responsible for libraries, student success, research and scholarship, and teaching and learning. 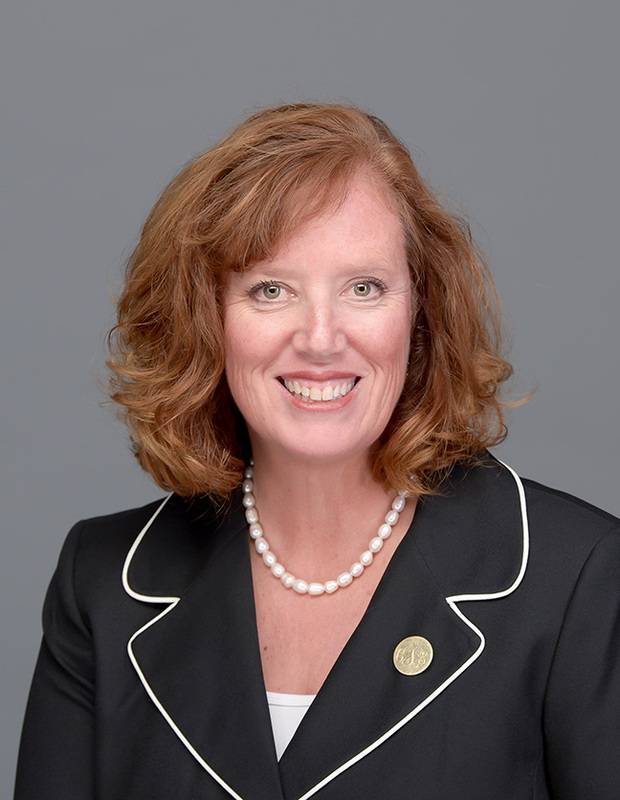 As leader of the academic program, she selects faculty and staff and oversees their development, supervises and improves the curriculum and instructional facilities, and is responsible for maintaining Hope College’s high academic standards and encouraging scholarship by the faculty and students. Provost Short-Thompson is committed to creating an open, transparent, inclusive and technologically driven operation in Academic Affairs at Hope College. She is eager to strengthen existing academic programs and create new major programs to meet the needs of the workforce and graduate schools. She wants to maintain and nurture Hope’s strengths in undergraduate research, international engagement and scholarly teaching. She’s committed to building stronger international partnerships for faculty and students, as well as closer relationships with employers in the community. In addition, she’s excited about building more pipelines into Hope College for strong students from community colleges and other institutions, as well as into outstanding graduate schools upon graduation. Dr. Short-Thompson is also committed to strengthening the processing, procedures and practices of the college to better support students, faculty and staff. Before joining the Hope College administrative staff in mid-2017, Dr. Short-Thompson served for seven years as the dean of Blue Ash College, a 5,500-student college within the University of Cincinnati system. Her leadership responsibilities as dean were comparable to that of both president and chief academic officer at an independent liberal arts college. From 1996 through 2010 she was an award-winning professor at Northern Kentucky University, where she launched its graduate program in communications, directed that program from 2005 to 2008, and chaired the department of communication from 2008 to 2010. Dr. Short-Thompson’s administrative expertise includes leadership and management of faculty and staff, development of new academic programs, facilities planning and project supervision, cultivation of experiential education and public engagement. During her tenure as dean of Blue Ash College the school’s enrollment grew and its campus expanded. Her academic expertise crosses disciplines; at Blue Ash she served on the faculty of both the department of communication and the department of political science. Her research and writing have focused on American electoral politics and perceptions of the attributes of an ideal presidential candidate, as well as women in politics. When not engaged in academic affairs at the college, Dr. Short-Thompson enjoys hiking, reading, painting, baking and traveling on mission trips with her church’s youth group. She and her husband Steve have three children, all lacrosse players. A lifelong Cincinnatian until joining Hope, she’s a fan of the Cincinnati Bengals and Reds (even when it’s difficult).